Gringo Ltd (Gringo) is a textile company established in 1997 by Abdulla Abdul Karim in Maputo, Mozambique. Mr. Abdul Karim’s dream was to create not only a jeans brand with the quality and appeal of well-known international brands, but also to have an enterprise that supports and propagates clear, ethical causes. Gringo’s short-term aims are to clothe Mozambican youth. Its long-term ambitions are to be a socially responsible company, leading by example to inspire a new generation of young people in Mozambique through innovative education and training programs, while enhancing the existing entrepreneurial climate in the country and striving to eradicate both hunger and poverty. The beginning for Gringo was particularly challenging. The company was founded in a country without an established manufacturing or entrepreneurial history, and where raw materials were sparse and infrastructure dilapidated. Mozambique, however, has plentiful, often untapped human resources. Gringo’s first steps were therefore crucial, and they were: to establish a firm corporate brand identity and company structure; to identify its core market; and, to begin creating and procuring products. The company's Brand Management Unit aligned The Cause with the Gringo brand, thus creating a new brand image – The Cause Brand (TCB) – with the objective that each would nurture the other – the emotional appeal of The Cause would overflow into Gringo and vice versa. TCB quickly established a personality: it was strong and serene yet irreverent; it encouraged social engagement as well as criticism; and it advocated humanism, freedom and victory. The company also engaged in The Cause oriented marketing drives involving media campaigns on HIV awareness and ethics, conservation of national culture and national pride, showcasing unknown talents, as well as a powerful campaign in newspapers called Senso Comum. The latter campaign involved 52 newspaper advertisements – one for every week of the year – on social criticism, social responsibility, and ethics all inspired by the teachings of the Jewish, Christian and Islamic faiths. 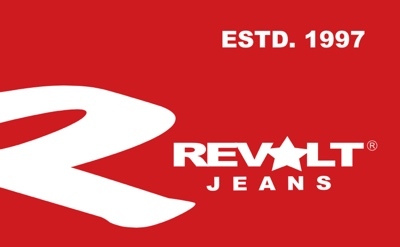 In 2016, Gringo launched a new product line – Revolt Jeans – through which it hopes to develop a successful brand that continuous to espouse the company’s principles. 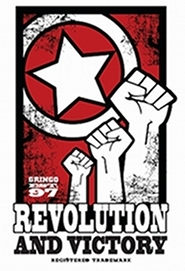 According to Gringo literature, the Revolt brand calls for human and civil rights, justice, and freedom to be protected and societal change brought about through creative non-violence. The company includes this message on Revolt product tags, accompanied by stylized images of civil rights champion Martin Luther King, Jr., as a way to develop a brand that encourages the company’s beliefs and resonates with its customers. The strategy for Gringo's research and development (R&D) team was to build up from the brand and to introduce the product at the last stage. To take advantage of the enthusiasm flowing from its outreach programs while consolidating and streamlining its company structure, Gringo contracted a management consultant who initiated a new R&D culture. This was done by restructuring the company, investing in new assets – including computers and management books – and instigating an internal training program for its staff on basic accounting, marketing, supply-chain management and community awareness initiatives. The company’s Education Program – a scholarship program for employees with no pre-conditions imposed such as an obligation to work in the company for a stipulated period – was intended to ready the company and its workers for operations. The program also established a library within the company for staff use, helping the employees improve their understanding of general business principles. In 2001, the company's human resources and marketing team began identifying its potential market and consumers: pre-university and university level students. The team organized outreach programs to schools, universities and local communities that sought not just to recruit potential employees, but also to raise awareness of the Gringo name within the community and in the minds of future customers. In 2002, Gringo received positive feedback from students expressing a desire to be associated with the brand and its vision, with many of them expressing a desire to work for the company in the future. With an established brand name, clear organizational structure, and an identified customer and resource base to hand, Gringo began procuring and producing its core product. Given Mozambique’s lack of manufacturing resources, the company initially outsourced ninety-five percent of its production to the Republic of South Africa (RSA) and the remainder to Portugal. Following further research by Mr. Abdul Karim, Gringo identified India – because of its advanced industries in fashion design, quality control, supply chain management, competitive prices, and potential market – as an ideal outsourcing partner. The company made its first investments in India of US$ 100, 000 in 2006; US$ 250, 000 in 2007; then US$ 550, 000 in 2008. In 2009, Gringo was authorized to operate a liaison office in India for three years and the company began to outsource one hundred percent of its products from that country. By 2010, Gringo had forty-three staff members at the head office in Maputo and one in India. Due to the world economic crisis in this period, however, the company restructured and, as of 2012, there were twenty-five staff members and two Gringo stores in Maputo. In the same year, one staff member remained in the liaison office in India. The company has continued to sell branded jeans and other products aimed at the youth market – eighteen to twenty-five year olds – while fulfilling the precepts outlined in The Cause by investing fifty percent of its net profits into generating and promoting community-based projects. From its inception, Mr. Abdul Karim’s vision of Gringo was of creating a strong brand presence that was intimately linked to a comprehensive intellectual property (IP) strategy. Throughout all its branding initiatives Gringo was very mindful of the importance of IP as a vital safeguard for its brand – protecting it from usurpers and counterfeiters. In 2000, the company registered both “Gringo” and “GNG” – an easily recognizable, artistic acronym of the trademark "GRINGO" but with the last "G" in GNG reversed or mirrored – as trademarks in Mozambique, filed under forty-five classes of International Classification of Goods and Services. Moreover, Gringo filed several trademarks in various countries with trade links to Mozambique – and therefore potential markets for the company – such as India, Lesotho, Namibia, RSA, Swaziland and Zambia. Desiring to extend Gringo brand recognition into new markets, in 2006 the company filed trademark applications through the Madrid System for the following countries and regions: Australia, Botswana, China, Democratic People’s Republic of Korea, European Trademark office, Kenya, Republic of Korea, Singapore, the United States of America (USA), and Viet Nam. Gringo also owns copyright certificates in Mozambique for its slogans, symbols and publicity sentences. Mr. Abdul Karim’s vision for Gringo began with the brand and the entrepreneur has successfully exploited the IP system in both Mozambique and in other countries to establish a strong IP strategy for the company. Gringo, for instance, benefited from the World Intellectual Property Organization’s (WIPO) Least Development Countries Policy regarding international registration by paying only ten percent of the registration fees for the trademarks filed through the Madrid System. Moreover, the company carried out a brand audit and applied for its trade marks at the national IP office well in advance of its product’s launch day. Furthermore, the company realized that the Gringo name may be unusable in some regions in the world – because it was already trademarked in those places, for instance – so when the Gringo mark itself became unregistrable in some countries, the GNG acronym was used instead. Gringo is now a registered trademark in five countries and GNG in thirty-four, clearly illustrating how a small to medium sized enterprise (SME) can leverage the IP system to its advantage in the same way that a multinational company can. 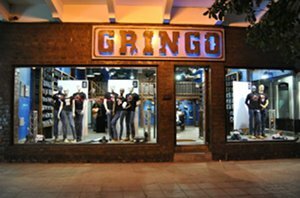 Having invested a lot of time, effort and resources on establishing a reputable brand name, and wanting to insure their good name against exploitation by rivals or “cyber-squatters”, the company procured a series of domain names with the word Gringo such as www.gringojeans.com; www.gringojeans.org; www.gringojeans.net; www.gringojeans.biz; and www.gringojeans.info. The company, moreover, has augmented its presence on the Internet by utilizing popular social network sites such as Facebook (facebook.com/gringojeans) and Blogger (Gringojeans.blogspot.com). By pro-actively taking control of its domain names and enhancing its online corporate profile, the company ensures its various IP assets and hard-won goodwill, while keeping its prospects for future expansion unencumbered. Despite having a comprehensive IP strategy, the company has faced IP infringement disputes. Gringo’s trade mark and corporate goodwill has been exploited by a Mozambican soap manufacturing company, leading to the company’s on-going legal challenge – based on Gringo’s class 3 trademark registrations – in the Mozambican law courts. As of 2012, the case was yet to be resolved. The company, however, is determined to protect its IP, going so far as to instigate legal action against alleged infringement. With The Cause brand at the heart of Gringo’s branding strategy, Mr. Abdul Karim and his team sought to extend the company’s good name into new community action projects – The Cause Projects (TCP) – whose aim is to tackle The Cause’s other ambitions including “the eradication of hunger and misery in the World, through investment in education”. Among Gringo’s most imaginative TCP initiatives was the Futescola Project (Futescola), which ran between 2000 and 2007. Designed for children living in the Hulene quarter – an area with a population of 57,000 located 20 kilometers from the city of Maputo – Futescola was a social project aimed at empowering and enriching those children’s lives through football training, food delivery centers, education and integration back into society and thus enabling them to make meaningful contributions to the Hulene neighborhood. Futescola’s “School of Football Players” project started in 2000 with the mobilization of two hundred children from the Hulene quarter. Sixty of them – aged eight to eighteen and with potential to play football – were selected and provided with education, meals, medical check-ups and training in football. The project intended not just to pay for the children’s school fees but also to educate them on health issues such as HIV/ AIDS and its prevention, general health care, as well as teaching them about social concerns including their role as individuals and their responsibility towards society as a whole. While the immediate objective of the project was to train future football professionals – with the attendant benefits of good health, physical strength, tactical skills as well as the importance of team play and collective action – the benefits reached further than that. Through participation in the project, the families were positively impacted economically as well as in terms of their well-being and sense of integration which in turn strengthened the general community. Unfortunately the Project ended in December 2007 due to lack of funding. Not discouraged by Futescola’s end, Gringo engaged in another TCP inspired community based idea – Life Mozambique Project (LMP) – which began in 2008. LMP was a pilot project whose aim has been to provide milk to children – who are under seven years of age and suffering from HIV or cerebral paralysis – in Mozambican hospitals and child-care centers. LMP – an independently managed program with Gringo participating in financing and in the analysis of results – was a tremendous success, its financial allocations having been increased from US$15,000 in 2008 to US$50,000 in 2010. The program, moreover, incorporated further child care units so that the total number of units was eight. Due to the difficult economic climate in Mozambique in early 2011 and early in 2012, however, the number of units was reduced to one. Running parallel with the LMP and other TCP initiatives is the Gringo inspired Academic and Political Interventions program whose main aim – in order to win the global fight against poverty and misery – is to engage and convince world-policy-makers about the need and urgency for positive social change. In part due to Gringo's restructuring policy in 2012, the company has been reviewing the viability of its social projects. In the same year, the company was in the process of establishing a redesigned structure for Futescola – called the Gringo Sports & Social Project – in association with the municipality of Beira. From humble beginnings in an uncertain corporate and IP environment, Gringo now has two globally recognized brands, nationally applauded community projects, and two retail outlets in Maputo. The company continues to seek new ways to expand into regional and international markets while inspiring a new generation of young people from around the world. Started by an astute idealist with lofty ideas, Gringo firmly rooted itself into the local, national and international community. Building up from a strong corporate image, sound business plan, and clear ethical principles the company sought a robust IP strategy before producing its first products. Gringo now supports health and wealth creation, while alleviating poverty, uniting a community, and inspiring a generation.